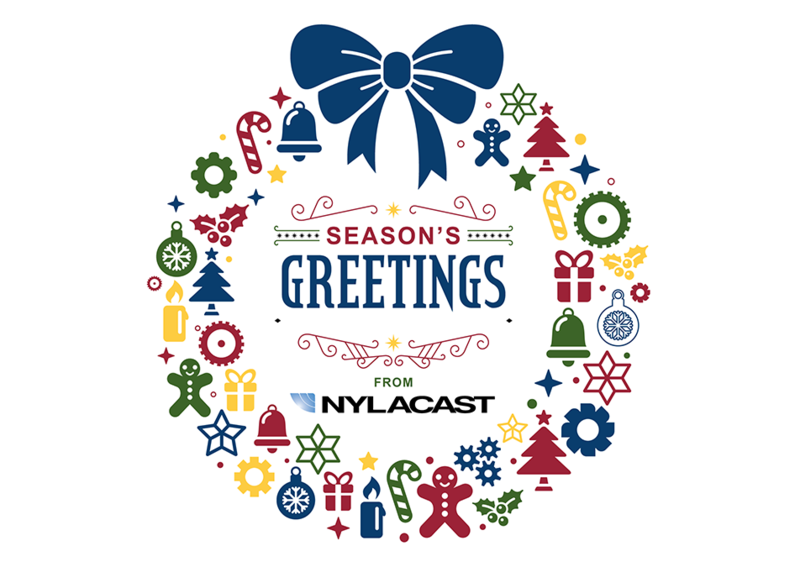 Nylacast would like to take this opportunity to wish all of our customers, colleagues, friends and families a wonderful festive break and a prosperous new year. Please note the following winter shutdown dates for our global locations. UK Closed from 2.00PM on Friday 21 December. Re-opening at 9.00AM on Wednesday 2 January. USA Closed from 2.00PM on Friday 21 December. Re-opening at 9.00AM on Wednesday 2 January. South Africa Closed from 12.00PM on Friday 14 December. Re-opening at 8.00AM on Thursday 10 January. China Closed from 5.00PM on Friday 28 December. Re-opening at 8.30AM on Wednesday 2 January.